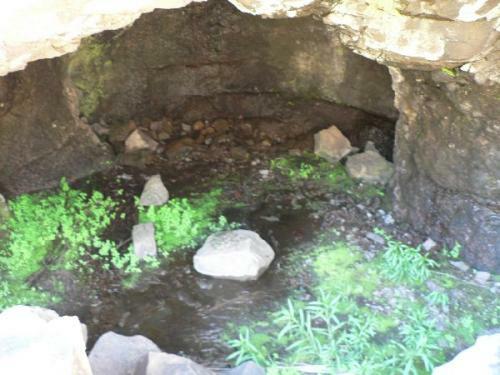 This is a miserable little cave in summer because it is very wet and full of drips. However, at the height of the dry season it might be dry enough to provide good shelter from the elements. The sleeping area is almost perfectly level but very stony, and it might take some work to make it more comfortable. 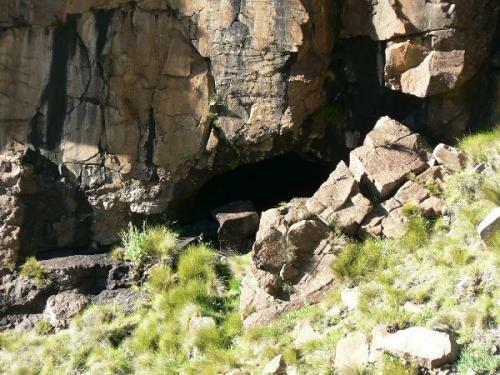 At the time of year when the cave might be dry enough to use for shelter, there would also be no water anywhere nearby, and you would have to go back into Lesotho to fetch some. There are no pools anywhere near the cave. 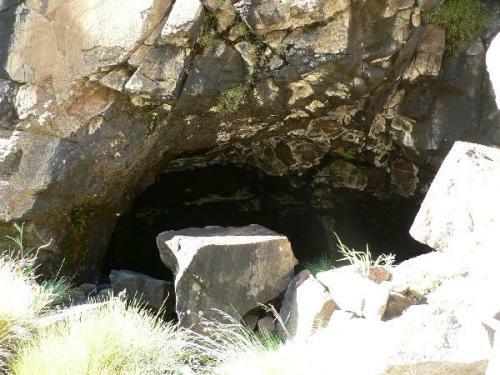 Although it is a small cave, its low height and good depth should provide adequate shelter except maybe in poor weather driven from the east. The cave faces east across Hlathimbe Pass (South) onto the outer reaches of the Hlathimbe Buttress, providing an interesting outlook - although not as spectacular as the view from Hlathimbe Cave (North).